To the webspace of the Plimmerton Volunteer Fire Brigade, based in picturesque Plimmerton, approximately 30kms North of Wellington, New Zealand. 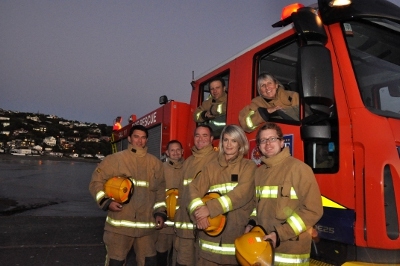 Established in 1934, the brigade provides first response fire and rescue services to the communities of Plimmerton, Pukerua Bay, Camborne, and Mana; and also attends incidents throughout the Arapawa region as required. Being an entirely volunteer brigade, Plimmerton is always seeking new members; click the recruitment link on the left for more information.